First of all, if you haven’t seen what LOJO can do and has done in the world of print, I would encourage you to visit our Print Media services page and portfolio. We have some beautiful examples of print projects we’ve successfully produced for our clients, and its one of our more repeat-customer areas of expertise thanks to our industry print partners. We love working with local and global print resources alike, and depending on the scope of work and budget we will find exactly the right print quality and price to produce your print pieces. Its still a thriving medium, and is becoming a more necessary way to maintain an engaging brand in the world of digital marketing. Nothing beats that moment when you hand a potential client or investor your branded business card how and impressed they are with the quality and freshness of the design. There is something about holding onto a tangible piece of your brand that sparks a genuine connection with your customers that cannot be replaced with any kind of digital media. Print will forever have a place in your brand, and LOJO has a lot of fresh ideas to encourage you to print more and do more with your brand collateral. 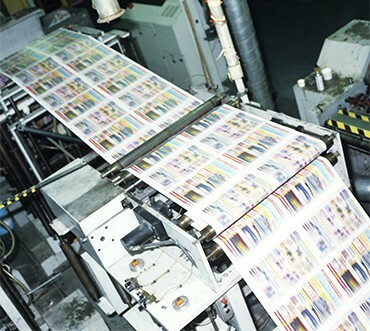 Among the different options there are for print, we have somewhat of a system for what we think is most pertinent and what will have the greatest impact on your audience. Once you have an outstanding business card, You’ll want to consider having us design a matching letterhead for you. This will enhance your brand professionalism and help your business stay organized and unified. You may also want to consider the benefits of a brochure or catalog. LOJO has exceptional experience creating beautiful brochures that convey every aspect of the brand they represent, as well as provide valuable information for products and services offered. Even if you only offer one product, that product could use its own brochure to describe the benefits, features, uses, or insightful tips. We aren’t really limited to what we can an cannot print. And it would be crazy to list all of our capabilities, but if you’re looking for a print partner, LOJO has you covered.